Our Coolant-Through / Coolant-Fed tapping solutions are designed to deliver direct coolant flow to the working section of the tap to ensure that your job is successfully completed at the lowest possible cost-per-hole. Axially – through the center of the tap and are designed for blind hole applications. Radially – along the flutes and are designed for through hole applications. Significant reduction of heat at cutting/forming location. 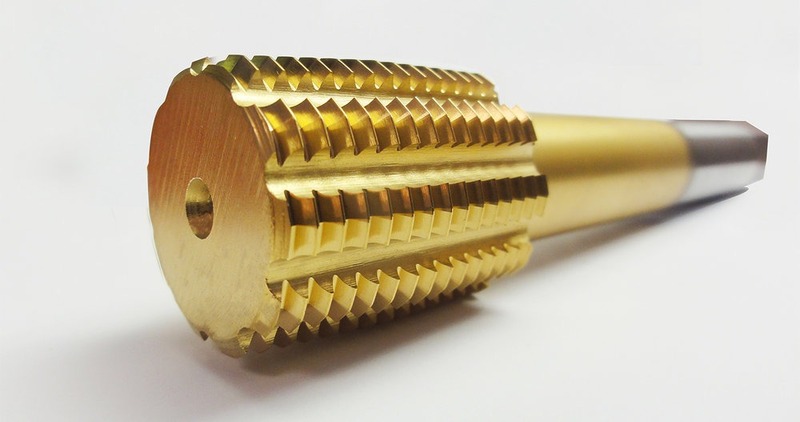 This reduction of heat results in improved thread finish and longer tool life. Tapping a variety of challenging applications of resilient, abrasive materials. Taking advantage of the benefits of new machining centers and their high-pressure coolant systems. Increasing efficiencies in overall tapping operations, which ensure bolstered tool life and greater output of tapped holes per tool. Deep hole tapping applications where coolant delivery and/or chip evacuation are issues. Tap applications where you want to optimize tool life. Our customers need a competitive advantage, and gaining an advantage in this competitive industry is not easy. It requires work, discipline, and more work. It requires both you (aka the customer) and us (aka the supplier) to define the objective, test the options, measure the results, and implement the solution. Standard catalog items can take you only part of the way; why not experience an exclusive solution? With that in mind, Jarvis’ exclusive tooling solutions have been continuously proven to reach far beyond the performance of the tools you are using now. Contact us today to set up a free consultation and (if applicable) trial period to help cultivate the exact tool you need to achieve a competitive advantage. Who can’t benefit from that?